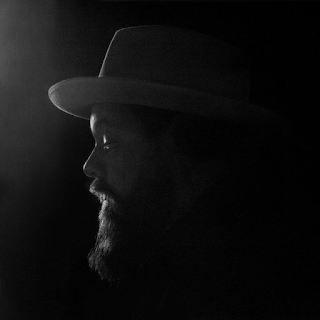 After a truly excellent first album from his Night Sweats band (he had released other earlier albums but not with this band), generously-bearded Nathaniel Rateliff returns with another dose of horn-driven, bluesy, original r'n'b rock. 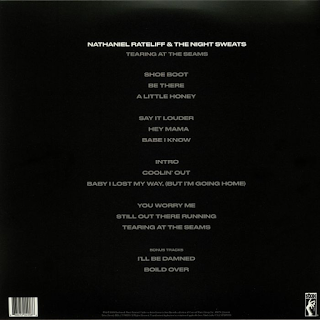 Rateliff had been releasing Americana-style rock for about ten years before reinventing himself with this large ensemble as a 1960s soul revivalist. This made him "credible" and he became one of the artists people like to name-drop and say they saw live, and so on. His albums are excellent, though, although you get the impression that he is one of those Springsteen, Southside Johnny-type artists who are infinitely better on stage, coming alive in away they just do not so much in the studio. (On the cover he looks like a Mennonite elder as opposed to a soul rocker, though). The opener, "Shoe Boot" is a slow-tempo, almost funky slow burner, with echoes of Little Feat all over it. "Be There" has some authentic Memphis, Stax-sounding horns, while "A Little Honey" has a an infectious rhythm and a genuinely soulful vocal from Rateliff, who, it has to be said, has a great soul voice. "Say It Louder" is just sumptuous, with a delicious Steve Cropper-influenced guitar backing and an irresistible Atlantic/Stax soul feel to it. This is the sound that Steven Van Zandt and The Disciples of Soul tried to achieve back in 1983. 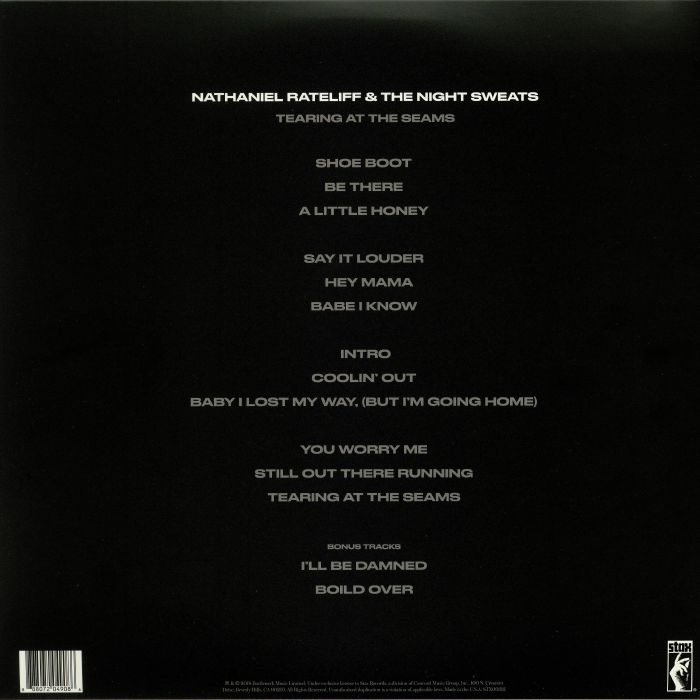 Rateliff does it even better, with a fuller, bassier sound. "Hey Mama" is another stonkingly good track - "Blonde On Blonde"-era Dylan meeting "Astral Weeks" and Celtic soul period Van Morrison with Southside Johnny's Jukes on horn backing. Yes this material is derivative, but it is damn good. "Babe I Know" is very much early early seventies Morrison, right down to every small vocal inflection. Throw a bit of Sam Cooke in there too. "Intro" is a huge, thumper of a track. Seriously good stuff. Check out the organ break. Those horns too - wow. Those horns rise up again on "Coolin' Out". Some killer guitar on this one too. "Baby I Lost My Way (But I'm Going Home)" has an infectious groove to it as indeed does the rumbling, bassy "You Worry Me". Van Morrison's influence is back, big time, all over "Still Out There Running", with real echoes of "Madame George" on the vocal delivery, and "Daring Night" too. The title track ends the album and actually is probably the most unremarkable of the songs on there. Overall, however, this is another highly recommended album.